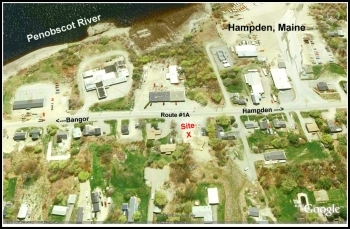 in the greater Bangor, Maine Region"
Located just a short distance from the Bangor City line, this .70 acre site includes 141' of valuable road frontage. It is ideal for development of a multi-family unit or commercial office building. Read more! 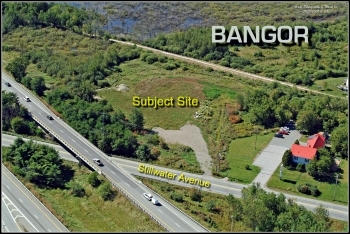 High profile corner lot retail location in front of the Broadway Shopping Center in Bangor. There are multiple prime pad sites available as ground rents or possible build to suit. The site is directly off I-95 at Exit 185 on heavily traveled State Road #15. It is just minutes away from Husson College, Bangor High School, Eastern Maine Medical Center, St. Joseph's Hospital ... Read more! 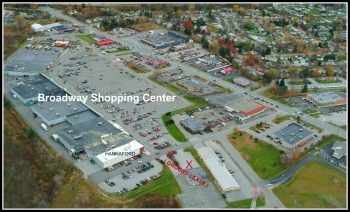 Great opportunity for an out parcel ground lease at Bangor's Broadway Shopping Center. 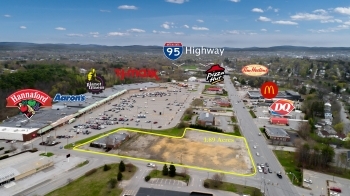 The site is located across from Hannaford Supermarket providing high visibility and easy access to this Nationsl Retail Anchored Mall. Read more! Former School House converted into bright, beautiful professional office space. A must see for anyone seeking a pleasant and productive work environment. Choose from 750 s/f to 4,800 s/f of highly desirable office space. Call for details! Read more! 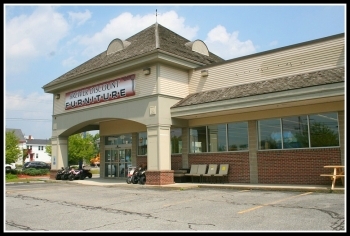 Free standing retail/office building located across from Rite-Aid on heavily traveled Union Street. This sale features a concealed cell phone tower producing $1,800.00 per month. Read more! Maine Commercial Realty is a full service commercial and investment real estate brokerage firm specializing exclusively in commercial real estate for sale, for lease or exchange. This commonly includes professional office space, retail property, industrial buildings, investment real estate, commercial land, site selection services and business brokerage. We routinely work with local, regional and national buyers, sellers, tenants, landlords, developers, builders and real estate investors. Whether your needs are large or small, we will utilize our expertise to your advantage. Today's real estate market is more complex than ever. So, of all the decisions you will face when buying, selling or leasing commercial real estate, none is more important than choosing the right brokerage company to represent you and your interests. Because we specialize exclusively in commercial real estate, we are able to focus on providing each client with the individual attention they deserve and the quality representation they expect. With 35 years of experience, we are able to reduce market risks, uncover hidden opportunities and offer fresh alternatives that very often result in substantial cost savings to our clients. We have successfully identified and negotiated the sale of site locations for developers of Tim Hortons, Walgreens Pharmacy, Family Dollar Stores, Tractor Supply Company, Taco Bell & KFC, Lumber Liquidators, Label Shopper and many other national, regional and local chains. Through a detailed market analysis, including a review of demographics, zoning ordinances and traffic patterns, we can help to identifying the most strategic position for your business. Whether representing a corporate giant or small retailer, we are a proven resource for pinpointing and securing desirable locations for our clients.